Bala Sahib Hospital or the ruins of some old dynasty? Labels: Bala Sahib Hospital or the ruins of some old dynasty? A penalty of Rs 10,000 per month on RWAs? RWAs - SDMC has already issued notices to almost 300 RWAs and it may be your turn now. 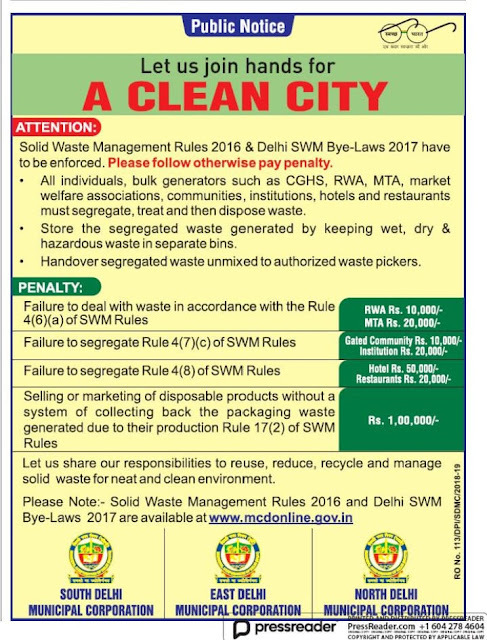 A penalty of Rs 10,000 per month on the RWAs for non-segregation and proper disposal of waste. It's SHOCKING. They can not give any empowerment to the RWAs but ready to impose penalties on RWAs. Have you gone through this notice? Comments awaited. It's strange. They want us to join hands with them without any empowerment and willing to levy huge penalties on us. Do they pay any penalty when they fail to do everything - potholes, waterlogging, sanitation, dengue, traffic jam, pollution, and a lot more, while they have all the powers. They are just fooling the masses. RWAs are just doing the selfless service to the society. We spend our own time, by spending from our own pockets, without any empowerment, and they want to levy penalties on us for no fault of us under the garb of joining hands with them. Please raise the issue, else soon all of the RWAs will shut their doors as that will be the better option for them, instead of paying the huge penalties out of nothing. 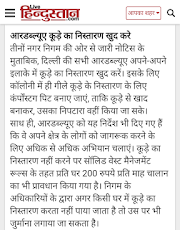 Ashutosh Dikshit This is as per the rules and laws notified by gazette notification of 2016 and bye-laws for Delhi notified in 2018. Of course following the law is not really a well-known practice in the country. Ashutosh Dikshit Not really Sanjay ji. The rules leave the responsibility on municipalities but ask for RWA partnership. In Delhi RWA and CGHS are legally positioned differently so their onus is also different. This responsibility could also be an opportunity for RWA to help in dealing with a citywide crisis. Sanjay Gupta Ashutosh Dikshit ji however the rules says differently when interpreted. The biggest issue will be with colonies where RWA formation is not mandatory. Law is not making any apparent division leaving scope for interpretation. Rwa Bhagidari It's strange. They want us to join hands with them without any empowerment and willing to levy huge penalties on us. Do they pay any penalty when they fail to do everything - potholes, waterlogging, sanitation, dengue, and a lot more while they have all the powers. They are just fooling the masses.RWAs are just doing the selfless service to the society. We spend our own time, by spending from our own pockets, without any empowerment, and they want to levy penalties on us for no fault of us. Ashutosh Dikshit Of course. Any RWA registered as a society under SRA of 1860 is in reality an NGO and the current laws cannot levy penalties on it. The MCD can levy penalty on the individual as prescribed in these by laws. 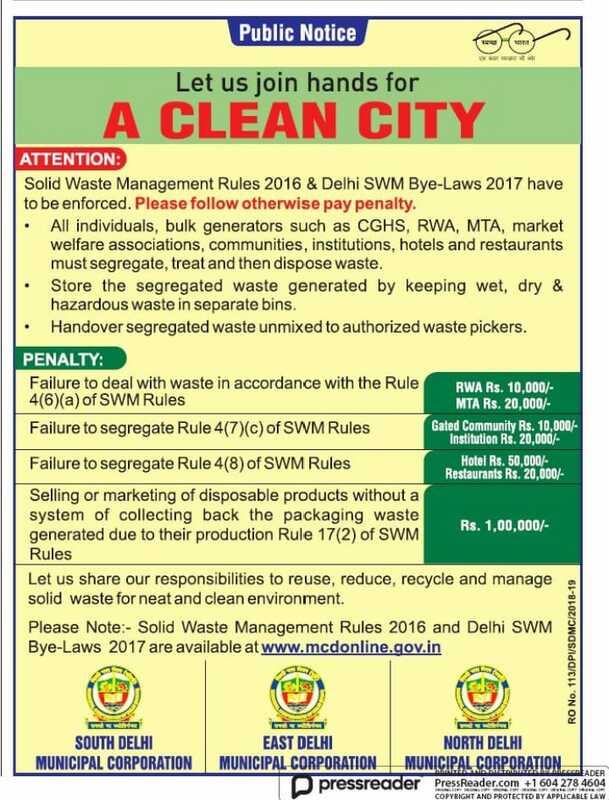 So any RWA that does not want to participate in waste management can refuse but an individual citizen cannot. The citizen is duty and legally bound but the RWA is not. It will help of course if it becomes clear as to what power an RWA wants. All powers will carry corresponding liability as well. Rwa Bhagidari Do they pay any penalty when they fail to do everything - potholes, waterlogging, sanitation, dengue, and a lot more while they have all the powers. 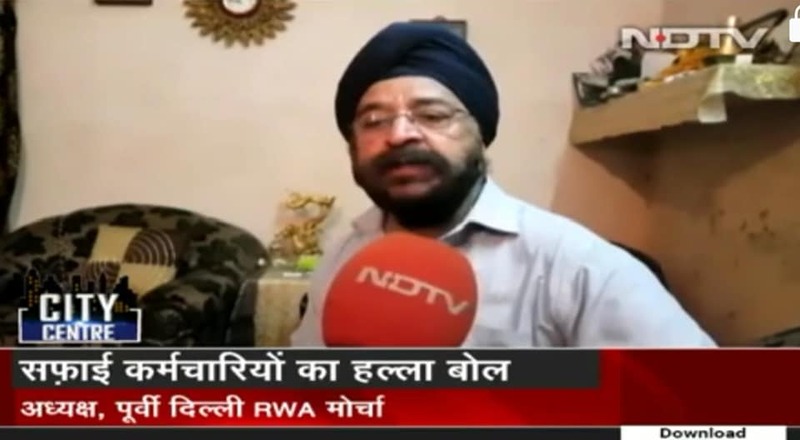 Ashutosh Dikshit By being made responsible, as well as liable RWA, are automatically empowered. It gives them a right to demand residents fall in line. Unfortunately, RWA is not seeing that. Rwa Bhagidari HaHaHa. Where is the Empowerment? Is it written anywhere in the rules and laws notified by gazette notification of 2016 and bye-laws for Delhi notified in 2018? Rwa Bhagidari RWAs are just doing the selfless service to the society. We spend our own time, by spending from our own pockets, without any empowerment, and they want to levy penalties on us for no fault of us under the garb of joining hands with them. 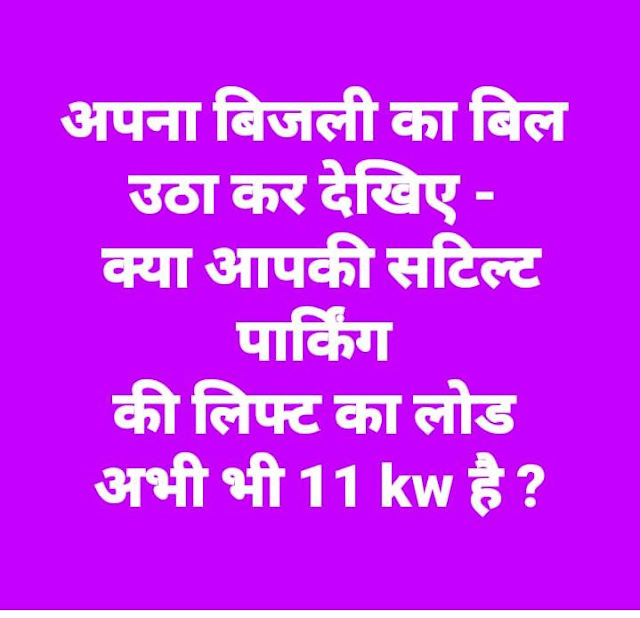 Rwa Bhagidari Please raise the issue, else soon all of the RWAs will shut their doors as that will be the better option for them, instead of paying the huge penalties out of nothing. Labels: Have you gone through this notice? Comments awaited. Why it's not a river but a dirty drain, back home? We were at the Jim Corbett National Park in Uttarakhand and as usual, the visuals of the river were a pleasant surprise for our eyes, with neat and clean water and no pollutants at all. My daughter had a very simple question that how this neat and clean water gets that much stinking and polluted that it resembles a drain? Why it's not a river but a dirty drain, back home? Truly, it's no more a river, no more a lifeline of Delhi as we have converted it into a dirty and a stinking drain. No doubt earlier, it was the lifeline of Delhi, but today you cannot go even nearer to it as it has the dirty and stinking water, the surroundings are covered with filth and garbage and you won't even get a feel of a river as now it resembles a dirty drain. Hope you have viewed all the vids embedded above depicting the present status of the river Yamuna in Delhi. Don't you think that it's the right time to come forward to save the river Yamuna in order to save our Delhi? Labels: Why it's not a river but a dirty drain back home? SAD AND SHOCKING. A HUGE LAPSE ON THE PART OF THE CONCERNED AGENCIES HAS KILLED SCORES OF PERSONS AT AMRITSAR IN A TRAIN ACCIDENT. A FAST COMING TRAIN PASSED THROUGH HUGE LOT OF PERSONS CELEBRATING DUSSEHRA NEAR A RAILWAY TRACK. VIDEO RECEIVED FROM FRIENDS IN AMRITSAR. Unconfirmed reports say that over 150 - 200 persons have been killed, though official sources have announced over 50 deaths. NEW DELHI: Delhi is again bracing for the air quality to plummet ahead of winter — a recurring phenomenon over the last few years. But thanks to an “early warning system” that will be able to forecast air pollution episodes three days in advance, the government may be slightly better prepared to tune its policies. The air quality early warning system, developed by the Union ministry of earth sciences (MoES), will be able to predict the impact of say a dust storm emerging in the Gulf on the Capital’s air quality, officials said. 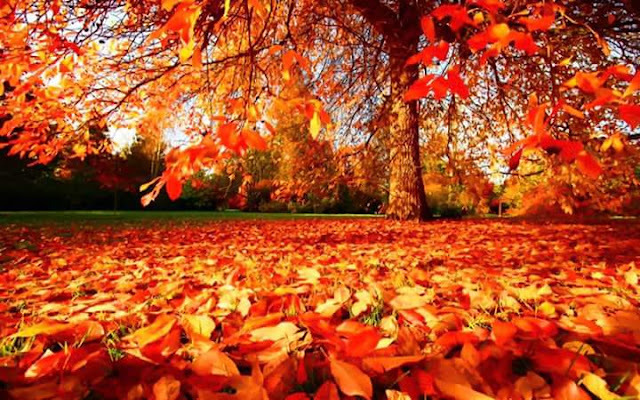 On Monday, IMD scientists shared their first forecast for October 16, 17 and 18 from the warning system with the Central Pollution Control Board (CPCB). Scientists working on the model said the air quality on October 17 will continue to be in “poor” category, the wind direction may change from northwesterly to easterly and a light rain is expected in Delhi-NCR on October 18 which may marginally improve air quality. The rain will be a result of a western disturbance across north-western India. “We are not seeing any major transport of dust from outside Delhi in the next three days, but the PM2.5 concentration is rising and that could be linked to crop stubble burning,” an India Meteorological Department (IMD) scientist working on the system said. The system can forecast PM2.5 (fine, respirable particles), PM10 (coarse pollution particles), oxides of nitrogen (NOx), ozone (O3), sulphur dioxide (SO2) and carbon monoxide (CO). It can also provide data on fires based on satellite imagery, dust levels, and other factors. But for now, this early warning system would not be accessible for the general public. Officials said all forecast under the system will be password protected and shared with the CPCB, which will disseminate warning and tailor their pollution control measures like the application of Graded Response Action Plan (Grap). The system uses an American (National Centre for Atmospheric Research) and a Finnish model to calculate air pollution levels in Delhi and NCR. “We have not spent money on these models. They are being shared by these countries through the World Meteorological Organisation (WMO). The full-fledged warning system will be up in a couple of days. We are still making some last-minute improvements,” said M Rajeevan, secretary, earth sciences. CPCB officials said they have requested IMD to see if the forecast can be put out on CPCB’s website for the general public to view. Meanwhile, Union science and technology minister Harsh Vardhan on Monday said the number of “good”, “satisfactory” and “moderate” days were up this year compared to the same periods in 2017 and 2016. There was also a drop in “poor”, “very poor” and “severe” days. Officials suggested that crop stubble burning cases are less this year compared to 2016 and 2017. The crop fires are 75% lower than last year in Punjab and 40% lower in Haryana, Vardhan added. Officials, however, said they are expecting fires to pick up next week and last for 10 to 15 more days thereafter. This is because of late harvest of certain varieties of paddy this year due to untimely rains in September. NEW DELHI: Delhi's biggest coal power plant has been ordered to be permanently closed from today and the roads will be swept with special machines as part of a set of emergency measures that have been put in place by the government to combat air pollution, authorities said. With the temperatures slowing dipping, Delhi air pollution levels have gone up with today's air quality tagged as "poor". The Central Pollution Control Board rolled out the emergency action plan which will be implemented from today. Here are the top 10 updates on air pollution in Delhi. The Badarpur thermal plant was due to permanently close from today because of its high contribution to pollution in the city. 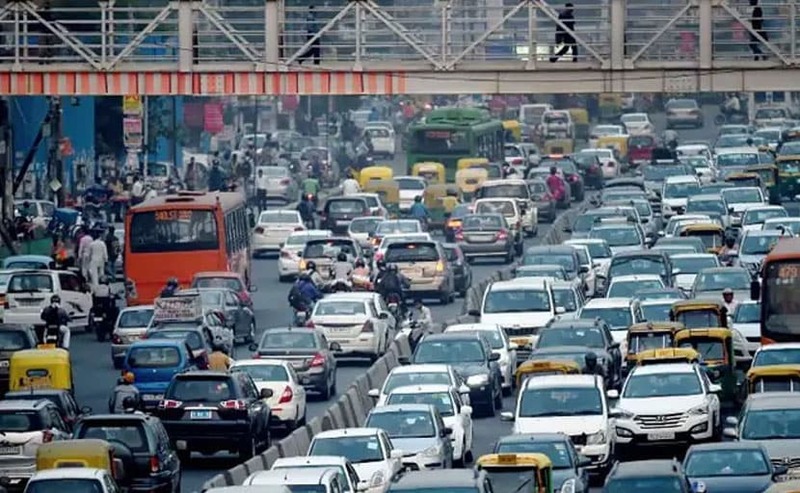 The emergency plan includes measures like mechanised sweeping of roads, deployment of traffic police to ensure smooth passage of traffic at vulnerable areas in Delhi and neighbouring areas, authorities said. Authorities banned garbage burning and imposed pollution control measures at brick kilns and ordered the deployment of police to ensure smooth passage of traffic at vulnerable areas Delhi and the National Capital. Region. The use of generators have been banned in Delhi but not in the National Capital Region because of power supply situation in the area, said Anumita Roychowdhury, a member of the Supreme Court-mandated mandated Environment Pollution (Prevention and Control) Authority. If the air quality dips further to "very poor" category, parking fees will be hiked three to four times the current rates and the frequency of the metro and bus services will be increased, an official with the Central Pollution Control Board said. When the air quality falls in the severe category, additional measures would be implemented like increasing frequency of sprinkling of water on roads and identifying road stretches with high dust generation. If the pollution levels reach "severe+", a new category, authorities will stop the entry of trucks except those with essential goods and regulate the number of cars on the road. In such a situation, They will also stop construction activities and appoint a task force to take the decision on any additional steps, including shutting of schools. Delhi's civic body had also asked the state-run Navratna Central Public Sector (NBCC) to "immediately halt" all construction and demolition activities at its project site at central; Delhi's Pragati Maidan. 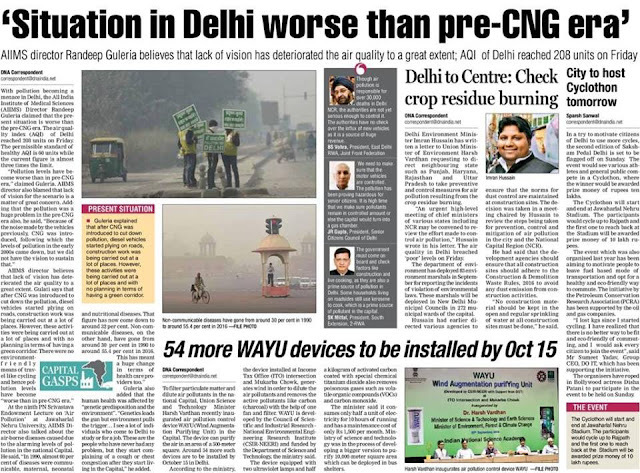 41 teams have been deployed across the Delhi and neighbouring areas to monitor proper implementation of these norms enforced to prevent pollution at the source. An official said inspections will be intensified in the coming days. Pollution in Delhi and neighbouring areas spikes around this time due to stubble burning by farmers after the harvest in Punjab and Haryana and Diwali firecrackers. Satellite images from the NASA have already showed increasing burning of paddy stubble in the two states. Delhi Chief Minister Arvind Kejriwal said he has taken up the pollution issue with the Chief Ministers of Haryana and Punjab. "We have been pursuing Central (government), Haryana and Punjab governments, yet no concrete action has been taken. Farmers are again helpless. The entire region including Delhi will again become gas chamber. People will again face difficulty in breathing. 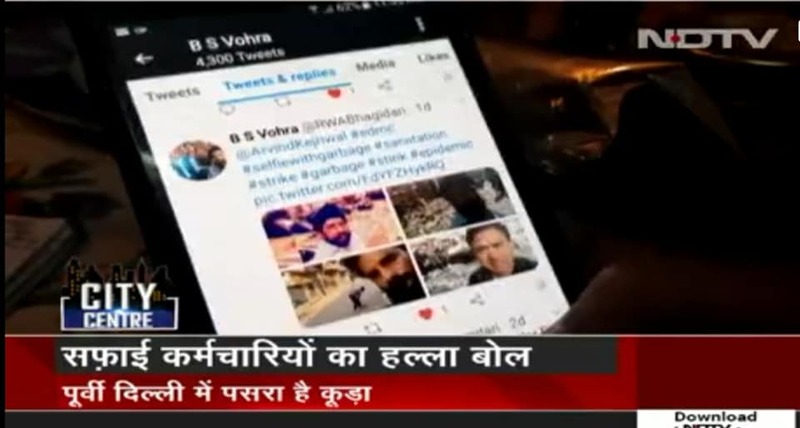 This is criminal," Mr Kejriwal tweeted on Saturday. #stubbleburning - Haryana & Punjab ? अपना बिजली का बिल उठा कर देखिए. लोड अभी भी 11 kw है ? Croplands and grasslands around New Delhi are being converted into city structures to create one of the fastest urban expansions in the world. The capital of India, New Delhi, has been experiencing one of the fastest urban expansions in the world. Vast areas of croplands and grasslands are being turned into streets, buildings, and parking lots, attracting an unprecedented amount of new residents. By 2050, the United Nations projects India will add 400 million urban dwellers, which would be the largest urban migration in the world for the thirty-two year period. 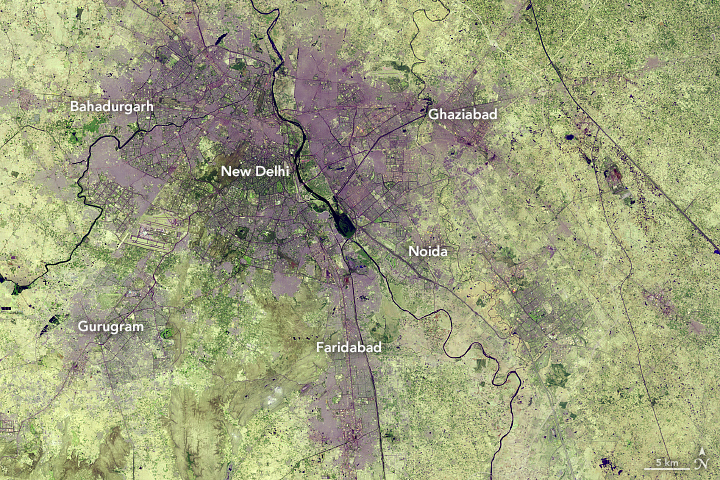 These images show the growth in the city of New Delhi and its adjacent areas—a territory collectively known as Delhi—from December 5, 1989, (left) to June 5, 2018 (right). These false-color images use a combination of visible and short-wave infrared light to make it easier to distinguish urban areas. The 1989 image was acquired by the Thematic Mapper on Landsat 5 (bands 7,5,3), and the 2018 image was acquired by Operational Land Imager on Landsat 8 (bands 7,6,4). Most of the expansion in Delhi has occurred on the peripheries of New Delhi, as rural areas have become more urban. The geographic size of Delhi has almost doubled from 1991 to 2011, with the number of urban households doubling while the number of rural houses declined by half. Cities outside of Delhi—Bahadurgarh, Ghaziabad, Noida, Faridabad, and Gurugram—have also experienced urban growth over the past three decades, as shown in these images. With a flourishing service economy, Delhi is a draw for migrants because it has one of India’s highest per capita incomes. According to the latest census data, most people (and their families) move into the city for work. The Times of India reported that the nation’s capital grew by nearly 1,000 people each day in 2016, of which 300 moved into the city. By 2028, New Delhi is expected to surpass Tokyo as the most populous city in the world. The increased urbanization has had several consequences. One is that the temperatures of the urban areas are often hotter than surrounding vegetated areas. Manmade structures absorb the heat and then radiate that into the air at night, increasing the local temperature (the urban heat island effect). Research has shown that densely built parts of Delhi can be 7°C (45°F) to 9°C (48°F) warmer in the wintertime than undeveloped regions. Additionally, sprawling cities can have several environmental consequences, such as increasing traffic congestion, greenhouse gas emissions, and air pollution. From 2005 to 2014, NASA scientists have observed an increase in air pollution in India due to the country’s fast-growing economies and expanding industry. India is one of many countries with fast-growing cities. By 2050, China is projected to add 250 million people in its urban areas, and Nigeria may add 190 million urban dwellers. In total, India, China and Nigeria are expected to account for 35 percent of the world’s urban population growth between 2018 and 2050. NASA Earth Observatory images by Lauren Dauphin, using Landsat data from the U.S. Geological Survey. Story by Kasha Patel. क्या पूर्वी दिल्ली मे सॅनिटेशन वर्कर्स की हड़ताल ख़तम हो गई? क्या पूर्वी दिल्ली मे सॅनिटेशन वर्कर्स की हड़ताल ख़तम हो गई? जी नहीं, ये हड़ताल ख़तम नही हुई है बल्कि सिर्फ़ पोस्टपोन हुई है, अगले कुछ महीनों के लिए. जैसे ही दिल्ली सरकार से मिला 500 करोड़ ख़तम हो जाएगा, EDMC दोबारा से उनको तनख़्वाह नही दे पाएगी और एक बार फिर से पूर्वी दिल्ली मे हड़ताल हो जाएगी. तभी तो पिछले कुछ महीनो में, एक के बाद एक, लगातार आठ बार ये स्ट्राइक हो चुकी है, लगातार आठ बार पूर्वी दिल्ली कचरे के ढेर मे तब्दील हो चुकी है, क्योंकि ये हड़ताल कभी भी ख़तम नही होती, बल्कि पोस्टपोन हो जाती है. इसीलिए हमारी लड़ाई अभी जारी है. हम इसका कोई ऐसा हल चाहते हैं कि पूर्वी दिल्ली मे होने वाली ये हड़तालें ख़तम हो जाएँ, दोबारा ना हों. अब इसके लिए हमें दिल्ली सरकार और केंद्रीय सरकार, दोनो से जवाब चाहिए. दिल्ली सरकार ने दावा तो कर दिया कि वो EDMC को शीला जी से तीन गुना पैसा दे रही हैं, लेकिन उनको ये भी तो बताना चाहिए कि कायदा क्या कहता है? उनके बजेट मे लोकल बॉडीस के लिए जो 6,903 करोड़ का प्रावधान है, उसमे से क़ानूनन EDMC का कितना हिस्सा बनता है? क्या उतना पैसा EDMC को दिया जा रहा है? 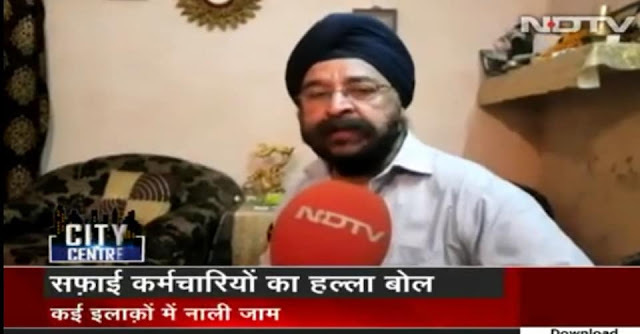 क्या पूर्वी दिल्ली की माली हालत को देखते हुए EDMC को कुछ ज्यादा मदद नही दी जा सकती? दूसरी तरफ केंद्रीय सरकार भी अपनी ज़िम्मेदारी से बच नही सकती. हैरानी तब हुई जबकि केंद्रीय सरकार ने SC के कहने पर भी 500 करोड़ नही दिया. दूसरी तरफ बोला जाता है कि दिल्ली सरकार का लगभग 10 हज़ार करोड़ रुपैया हर साल लॅप्स होकर वापिस चला जाता है क्योंकि दिल्ली सरकार वो पैसा MCD को नही देती. तो फिर दिल्ली वालों की परेशानी को देखते हुए क्यों केंद्रीय सरकार क़ानून मे बदलाव नही करती ताकि वो पैसा केंद्रीय सरकार सीधे तौर पर दिल्ली की MCD को दे सके? दोनो सरकारों को यह समझना चाहिए कि राजनीतिक लड़ाई एक अलग चीज़ है, बेशक एक दूसरे के खिलाफ उल्टे सीधे ब्यान दिए जाते हैं, ब्लेम गेम भी होती है, लेकिन कभी भी वोटर्स को सीधे नुकसान नहीं पहुँचाया जाता. कभी भी रेसिडेंट्स को इतना मजबूर नही किया जाता कि लोग खुद ब खुद #selfiewithgarbage जैसी मुहिम चलाने लगें. सिर्फ़ उम्मीद कर सकते हैं कि दोनो सरकारें दिल्ली वालों की मुश्किलों को देखते हुए गंभीरता से कदम उठाएँगी ताकि पूर्वी दिल्ली को इस कचरे की राजनीति से छुटकारा मिल सके वरना वोटर्स के पास तो सिर्फ़ वोट की ताक़त होती है जिसे वो समय आने पर उपयोग करता है और इतिहास गवाह है कि वोटर्स के नज़रे करम से कैसे तखतो ताज बदल जाते हैं. Labels: क्या दिल्ली मे सॅनिटेशन वर्कर्स की हड़ताल ख़तम हो गई? But this is what we get in the National Capital. Can't we get what we expected above? Please note, the strike of the sanitation workers is not yet over. It has just been postponed. Yeah, postponed in the same manner as it was done earlier and that resulted in 8 strikes in a row in less than three and a half years. Yet another strike is in the pipeline, as once the money received from the Delhi Government is over, the sanitation staff will again be on the roads. The need of the hour is a permanent solution to this menace. Delhi Govt must come forward with details of the share of the EDMC for the time being and Union Government must come forward for a unified MCD. 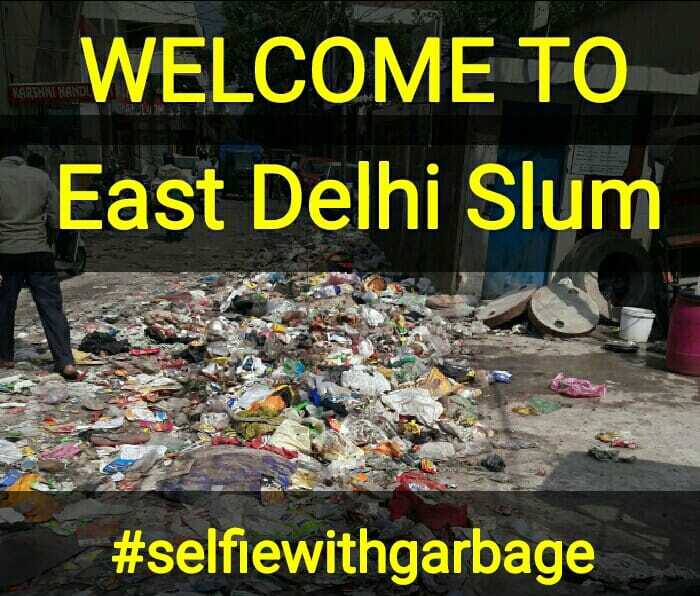 East Delhi is stinking, with an estimated 20,000 metric tonnes of garbage strewn on its streets as a strike by sanitation workers entered the 27th day on Monday. 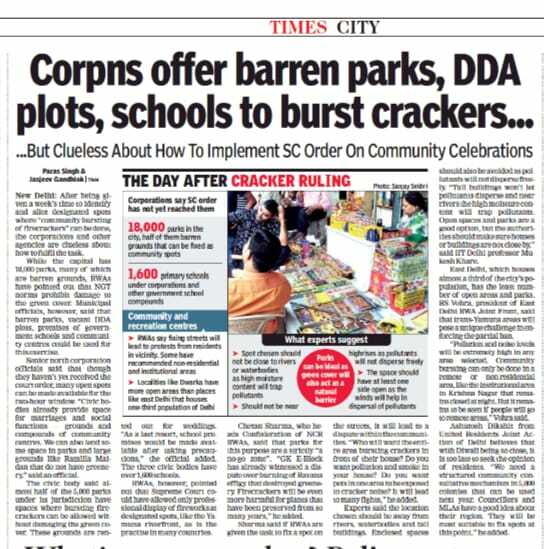 Top corporation officials are saying that even if all 16,000 of the ‘safai karamcharis’ resume work immediately, it will take at least 10 days to clean up the mess that has already piled up. Only 60% of the trash generated in residential neighbourhoods that fall under the East Delhi Municipal Corporation (EDMC) is being taken for processing with the help of private workers hired corporation, officials say. The rest is lying on the roads. Residents say that the worst-affected areas are IP Extension, Mayur Vihar, Preet Vihar, Nirmal Vihar, Vivek Vihar, Laxmi Nagar, Vikas Marg Gandhi Nagar, Geeta Colony, Anand Vihar, Krishna Nagar and Karkardooma. The safai karamcharis are demanding regularisation of all workers employed after 1998, and the payment of pending salaries and arrears. This is the sixth strike by the municipal sanitation staff in east Delhi in the last three-and-a-half years. “East Delhi generates about 2,600 metric tonnes of garbage every day but only about 2,200 is collected and sent for processing. Due to the strike, about 1,600 tonnes is being lifted every day with the help of private trucks and auto tippers. Though other agencies are also picking up some garbage, about 900 tonnes is being left behind every day. By our calculation, about 20,000 tonnes is strewn on roads and pavements right now,” said EDMC mayor Bipin Bihari. Another corporation official said that in some areas, the striking workers are not letting the privately hired workers collect garbage from roadsides. The corporation needs Rs 1,500 crore to fulfil the demands of the striking workers, according to an official from its finance department. But the EDMC is already running at a deficit of Rs 3,500 crore — “salaries are often delayed by 2-3 months, forget about regularisation,” the official added. The problem may get worse because sanitation workers have threatened to continue the strike during the upcoming festive season – through the Navratas to Dusseshra, and then up to Diwali (November 7) – if their demands are not met. The councillors from the ruling Bharatiya Janata Party (BJP) said that there is no further scope for negotiations on this issue with sanitation workers. “We accepted all demands of sanitation workers including regularisation of 4,800 contractual workers employed after 1998. But one of the unions is politicising the issue and now we are going to take stern action against those participating in the strike,” said Satpal Singh, chairman of the EDMC standing committee, adding that the cash-strapped EDMC is not in a position to hire a temporary workforce to clear the mess for the festival season. The civic agency on Monday took action against 43 striking sanitation workers who did not return to work. Till now, 114 workers have been suspended. “We have suspended 10 sanitation workers in Shahdara south and seven in the Shahdara north zones. Similarly, the contracts of 11 temporary workers were disengaged in Shahdara south while 15 in north zones,” an EDMC spokesperson said. The mayor has deputy commissioners of both the zones for a detailed daily report on the situation on the ground. 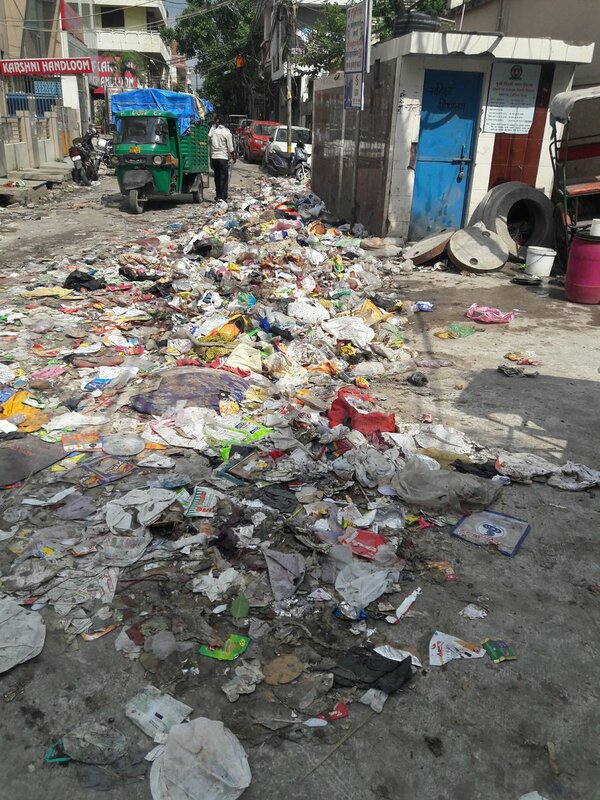 BS Vohra, the president of an umbrella group of east Delhi resident welfare associations, said on Monday that the garbage was becoming a serious threat to public health. “There is now a constant threat of outbreak of diseases,” Vohra said. A trader from Krishna Nagar, Vipin Gupta, said: “The festive season is considered good for business but this time sanitation strike might affect our business adversely as the customers would not feel comfortable shopping amid garbage laden and stinking roads,” he said. He said residents were suffering because of “dirty” politics being played by the BJP and Aam Aadmi Party (AAP). The BJP is ruling the corporations but AAP is in power in Delhi. “When we go to the sanitation workers, they say they are on strike. Neither the government nor the civic bodies are paying attention to the crisis. Residents are the real sufferer. Delhi government and the corporations both are playing politics over garbage,” he said. 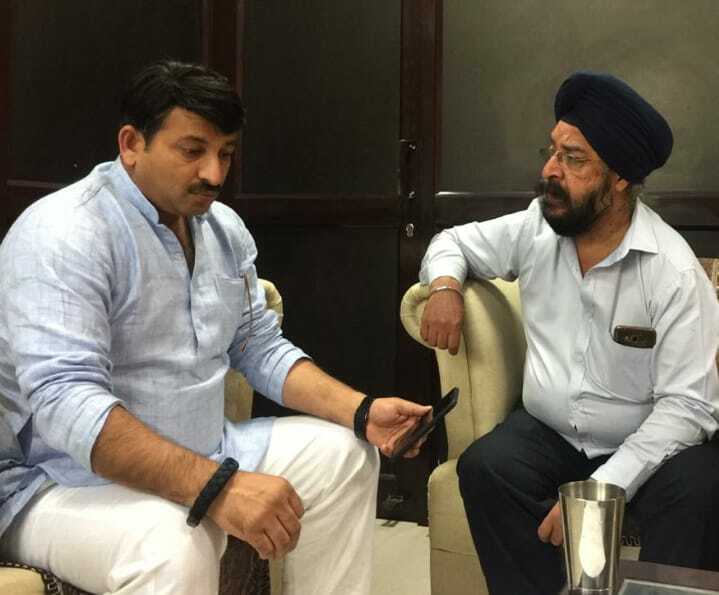 BJP Delhi unit chief Manoj Tiwari said the Delhi government has not been following the Supreme Court’s orders on funding municipal corporations. “The top court had to issue directions to the Kejriwal government to take action on issues, including releasing funds to the MCD. The people of Delhi continue to suffer,” Tiwari said. WE ARE ALREADY FACING PROBLEM DUE TO STRIKE BY SANITATION WORKER AND FURTHER PWD STAFF IS NOT LIFTING THE DESILTED MATERIAL OUTSIDE NAVRACHNA APARTMENT AND JEEVAN BIMA APARTMENT KINDLY SAVE US FROM STINK. 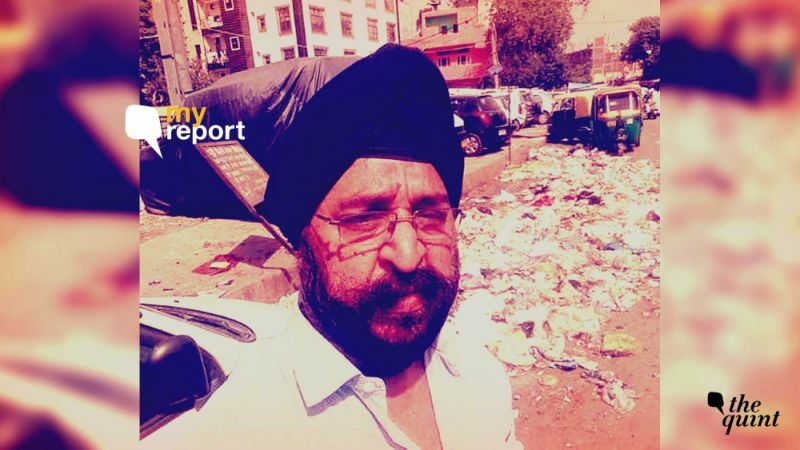 It's the 25th day of the filth, garbage and stink all over East Delhi. 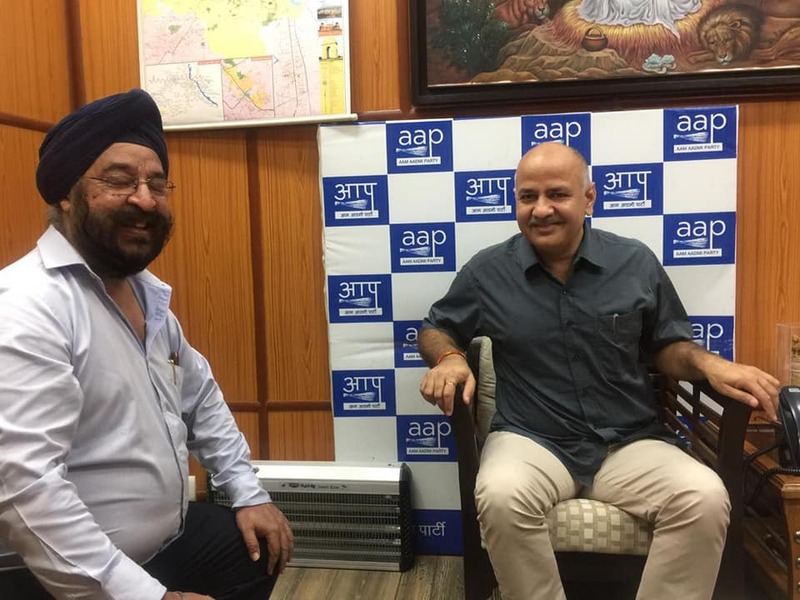 We, the residents, breathed a sigh of relief when we heard that the Delhi government had informed the Supreme Court that they would release Rs 500 crore within two days to the civic body. We expected things to get back to normal after a day. But even after two days nothing has happened. We still live amid stink and garbage. 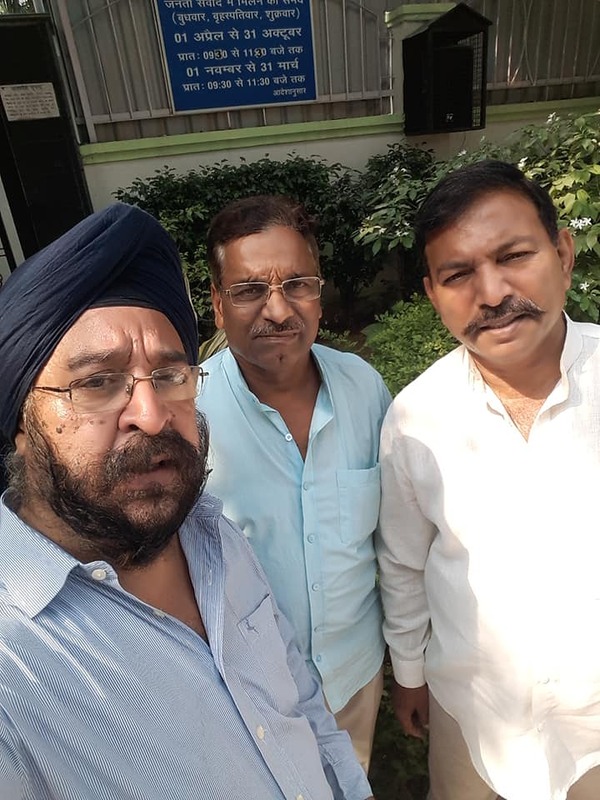 We enquired from the EDMC (East Delhi Municipal Corporation) persons and were in for a shock when we were informed that the strike will continue till their demands are met. According media reports, the sanitation workers will protest at Jantar Mantar and take out a march to the PMO to raise their demands. It’s sad that even after the release of a huge amount by the government, the sanitation workers are not understanding the plight. There is a chance of an epidemic. Every protest must have a limit. Twenty-five days of a non-cleaning drive by the sanitation workers is now hurting the residents. 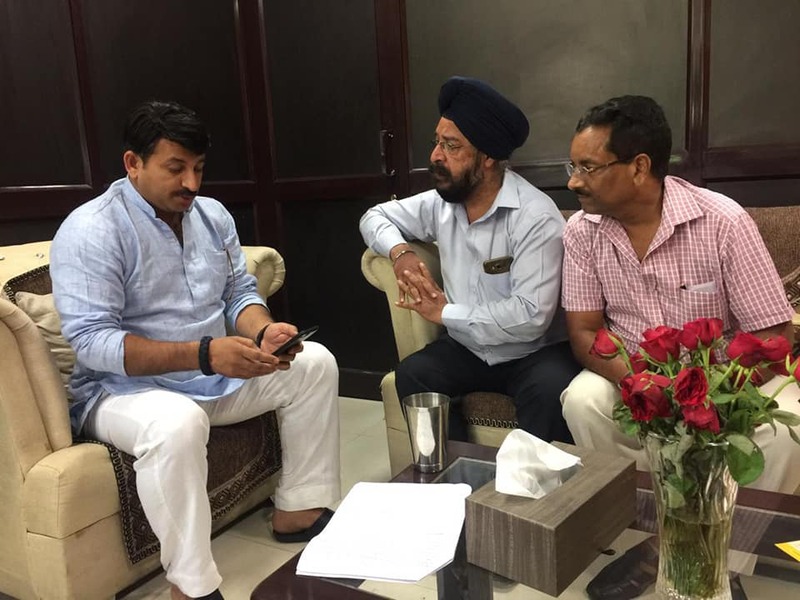 We are so worried that earlier we met Deputy Chief Minister Manish Sisodia and Manoj Tiwari. Earlier, I met officials from Delhi Government and the MCD (Municipal Corporation of Delhi) regarding the garbage hazards. While the former said they’ve made the payments, the latter said they have no funds. 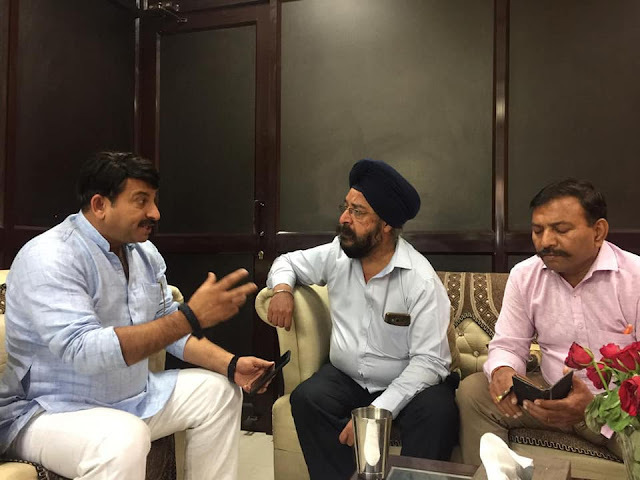 Had meetings with Mr. Manoj Tiwari & Mr. Manish Sisodia over the issue of sanitation workers strike in East Delhi, which seems resolved now after the release of 500 Cr by Delhi Govt. 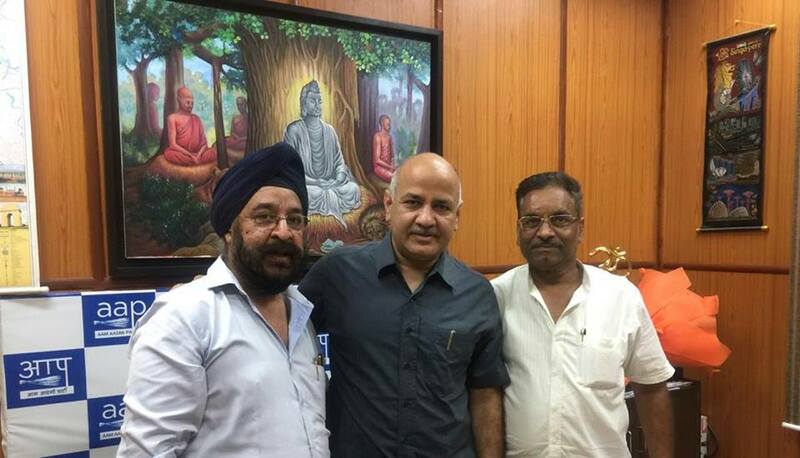 Had visited Mr. Arvind Kejriwal also for the meeting but he had left in a hurry to meet the injured farmers at GTB hospital. CM Sahib, Can we meet tomorrow at 10 AM ? #selfiewithgarbage - It's trending now !